1Lt Ramon L. Spooner was Killed in Action on 26 November 1944 flying as lead navigator with the Capt Robert F. Healy Crew. 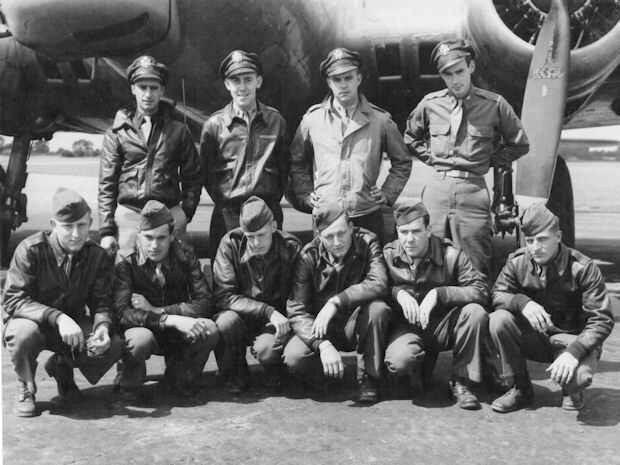 S/Sgt Frederick J. Eichenberger was wounded on mission 230, 18 August 1944. Flak hit his arm leaving it hanging by a muscle. First aid was applied by Bombardier 2Lt Elmer E. Prusha. S/Sgt Eichenberger was hospitalized when the crew returned to Molesworth and removed from combat status.